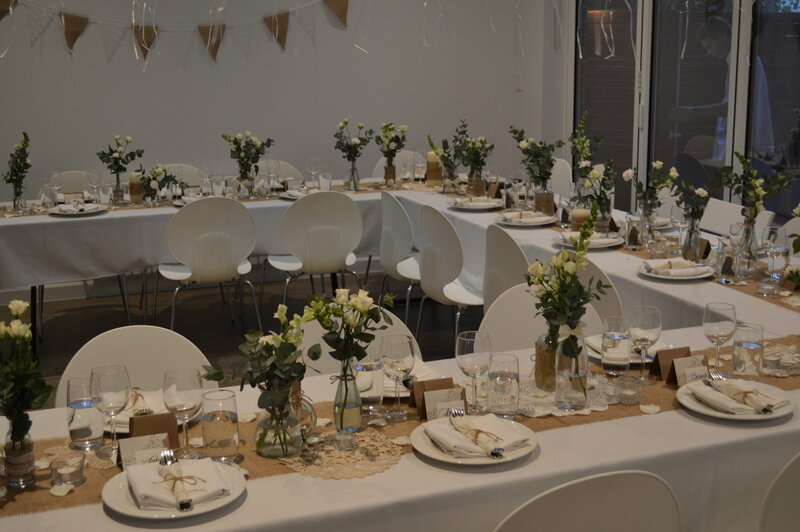 Organise your next dinner party using Oliver Hire! Make it a memorable night by planning ahead and ensuring you have all the right equipment, settings and decorations. At Oliver Hire we can provide everything you need for a special occasion or a private dinner party. We can help you cater for any number of guests – from 1 to 500! We stock tables and chairs, wine, champagne & beer glasses, crockery and fine white damask table cloths (pressed to perfection). Don’t forget champagne buckets, wine coolers and ice buckets to display your fine wines. Our white Cake Stands will ensure your cakes and cup cakes look gorgeous. To make your private party more elegant, why not consider chafing dishes set up on a buffet table. There are also stainless steel tongs and serving spoons that will make serving easy! All you need to do is organise the food and order the drinks. Setting the table is so easy when you order all your fine dining settings and glasses from Oliver Hire. Everything will match and you won’t have to worry about picking up, as we will deliver to your doorstep! Oliver Hire advises that you come in and site our crockery, linen and cutlery to choose the right style for your dinner party.